Like the crazed killer in a campy horror film, cable boxes refuse to die. Sure, the number of cord-cutters continues to grow, but the cable box remains a stalwart in millions of homes across the country, despite repeated reports of its death. There have been plenty of valiant attempts from would-be hero devices like Roku, Chromecast, and Apple TV, as well as from live TV streaming services like Sling TV and PlayStation Vue. But sequel after sequel, the cable box just keeps coming back. So rather than killing the cable box, Amazon aims to embrace it. 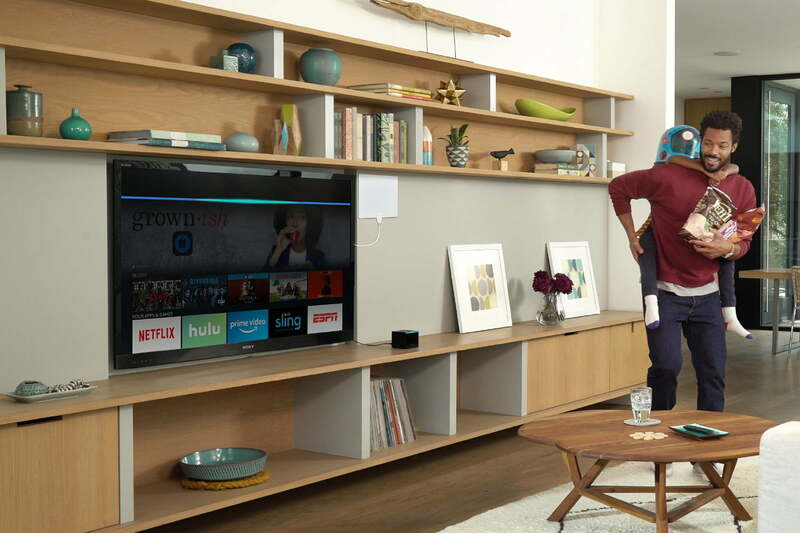 Officially announced today, the new Amazon Fire TV Cube is your cable box’s best friend, while bringing complete Alexa functionality to your entire home theater setup. Plug it in and you can start your TV, cable box, sound bar, and A/V receiver with just a simple voice command: “Alexa, turn on the TV.” Add in hands-free 4K streaming media via Netflix, Hulu, Amazon’s own service, and all those other apps and Bezos and Co. seem to have a winner. 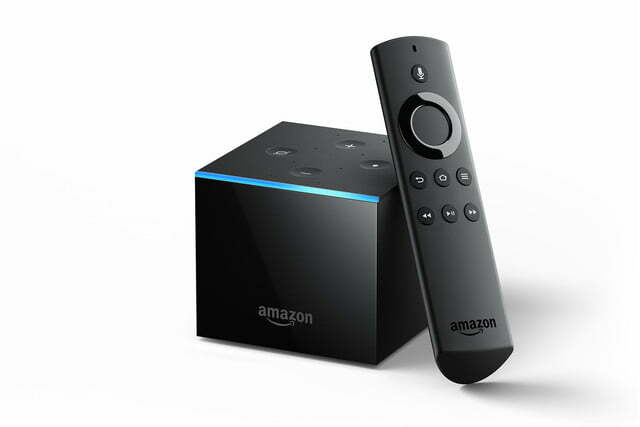 Ahead of the Fire TV Cube’s launch, Digital Trends sat down with Jen Prenner, Global Head of Marketing for Amazon Fire TV, to walk through the device, which combines the smart-home power of Alexa with Amazon Fire TV. “We are super excited to in essence take the best of everything you love about Echo, including Alexa, make it very visual, and bring it together with Fire TV,” she told us. 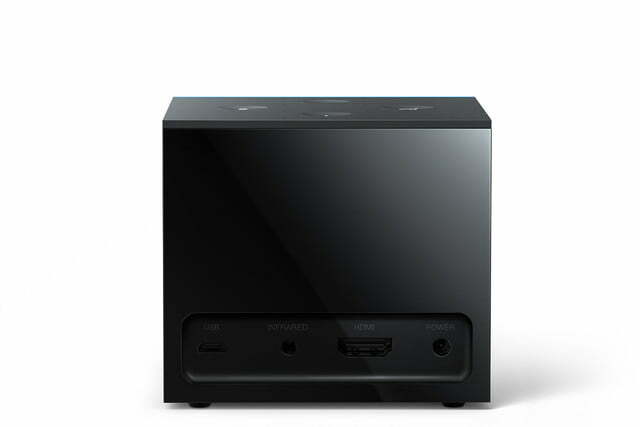 The Cube (which we’ve been waiting for since last fall) can talk to the other devices in your home theater through HDMI CEC, a common multimedia spec that lets various AV devices communicate with each other. It also leans on multi-directional infrared technology to send signals to your boxes. It ships with an IR extender cable and Ethernet adapter, should you opt to hardwire it to your network. Amazon has worked closely with Netflix to build support for voice into its app, as well as content providers such as Hulu, ESPN, FOX, Showtime, STARZ, CBS, and NBC. Oh, and 4K and HDR? Yeah, the Cube supports both. The Cube aims to solve the coffee table control crisis: Most cable box owners have enough remotes to fill Batman’s utility belt. There’s one for the cable, one for the TV, one for the sound system, one for some streaming gizmo, and so on. Voice controls can replace nearly all of those – for the most part. For example, it’s a cinch to turn on the TV to a recent channel, specific show, or whatever. And by setting up a routine, those with smart home setups can dim the lights and maybe even close the curtains at the same time. The Cube’s interface is similar to that seen on the Echo Show but it’s expanded out and designed for a larger screen. Most streaming devices today have similar ones – strips of icons that recommend shows, popular series, content surfaced just for you, and so on. 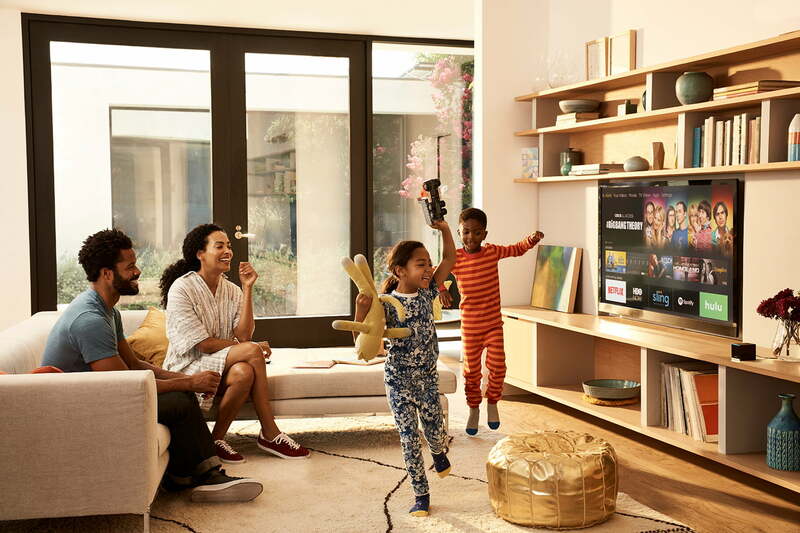 Because the Fire TV Cube works with your cable system, it also shows you what’s playing now on TV, including spotlights for premium channels like Showtime or HBO. Hints about commands you might use pop-up throughout the interface, a useful reminder of how to interact with the Fire TV Cube. But some things work better with a remote than with voice, of course. You can say “Alexa, jump forward 10 minutes” — but let’s be honest you wouldn’t want to. Pressing the fast-forward button is just easier. And searching through new releases or skimming through recommended TV shows is simpler with the arrow keys on a remote control. Sure, you can do that with commands Amazon has created for the Fire Cube, such as “Alexa, show me more,” but it’s better with a remote. 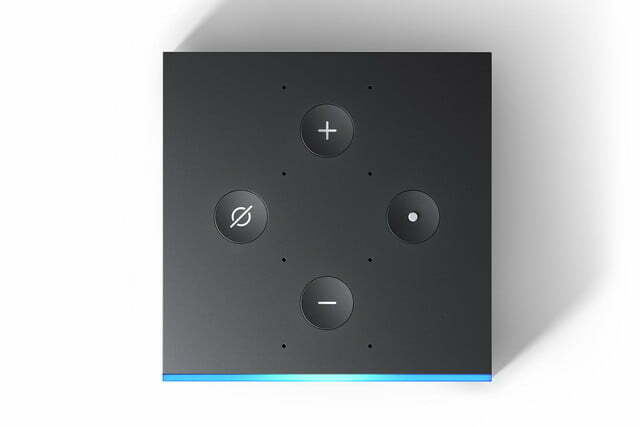 So, of course, the Fire TV Cube comes with its own remote – but for the most part, you won’t have to use it. For example, you can select items from menus relatively easily by saying “select number 7” or simply “play Grey’s Anatomy” – Amazon’s saving you a click, it seems. 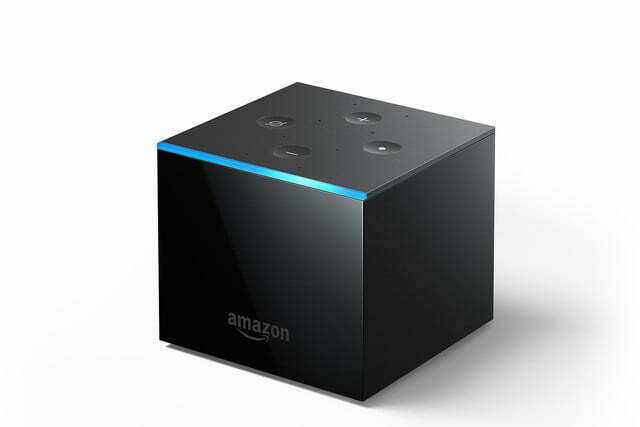 To get voice to work well with a device that sits on a shelf rather than at head level or ear level, Amazon built “far-field voice recognition” into the Fire TV Cube. There are eight separate microphones and beam-forming technology that can pinpoint voices in a room. The Cube can’t recognize individual voices yet, but this is likely something in the works. We tried to be thoughtful about when she speaks back to you instead of just doing what you’ve asked her to do. Adding a new device to listen in on you at home may turn some people off after Amazon did the one thing it can never do last month: Accidentally recording a conversation and sending it to someone. Amazon assures that this was an edge case that should never happen again. We’ll see. By the way, anyone familiar with Alexa knows she can be a little chatty. Amazon has tried to reduce the call-and-response aspect of the device, so you won’t always hear Alexa telling you she’s changed the channel or dimmed the lights or cued up the next item in your playlist. “We tried to be thoughtful about when she speaks back to you instead of just doing what you’ve asked her to do. Sometimes she may talk back, sometimes she will say ‘okay,’ sometimes she may try to disambiguate what you’re trying to do,” Prenner told Digital Trends. Got an Amazon device already? The company says it’s been working to ensure that the right device responds when you ask Alexa for something. If you’re closer to the Echo Spot in the kitchen, for example, only that device will reply, and in an appropriate way. Ask for CNN and Alexa will start playing it in the kitchen on TuneIn Radio, not turning the living room TV on and tuning to CNN. We’ll be interested to see how well this works in practice. Interestingly enough, the Fire TV Cube has some brand new competition on the audio side of things in Sonos’ slick and smart new soundbar, the Sonos Beam. Unveiled on June 6, the $399 Beam also offers Alexa at launch with voice control for select TV commands as well as select streaming services on Fire TV, and it will also add both Apple AirPlay 2 and Google Assistant down the road. It does not offer cable box integration, however, so those hungry for expanded voice control have some choices to make. 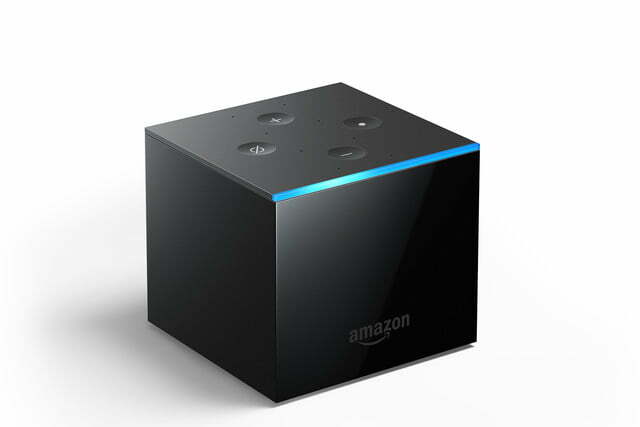 Amazon’s Fire TV Cube is available for order today at $119.99 and will ship on June 21. As an introductory offer, Prime members can order on June 7 and 8 for a special price of $89.99—a $30 savings. 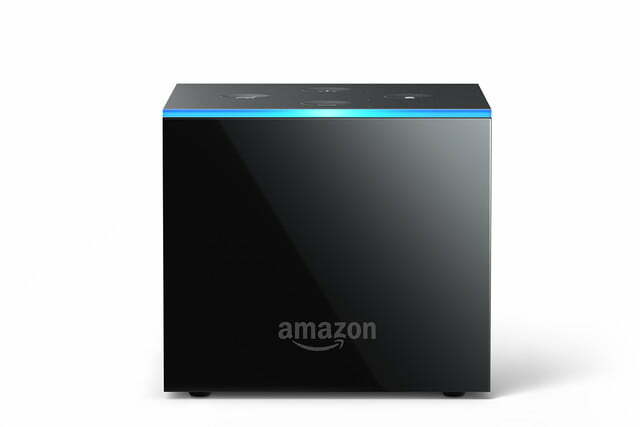 Plus, for a limited time, customers can pre-order Fire TV Cube and Amazon Cloud Cam together for $199.98 – a $40 savings.